On average, we spend 47,000 hours answering emails throughout our careers. To put that number in perspective, we spend about 22,000 hours in school and university. Dealing with this steady influx of emails is not just annoying: It’s killing productivity and can even cause anxiety. Also, switching back and forth between tasks — for example, checking emails and writing an article — interrupts workflow. 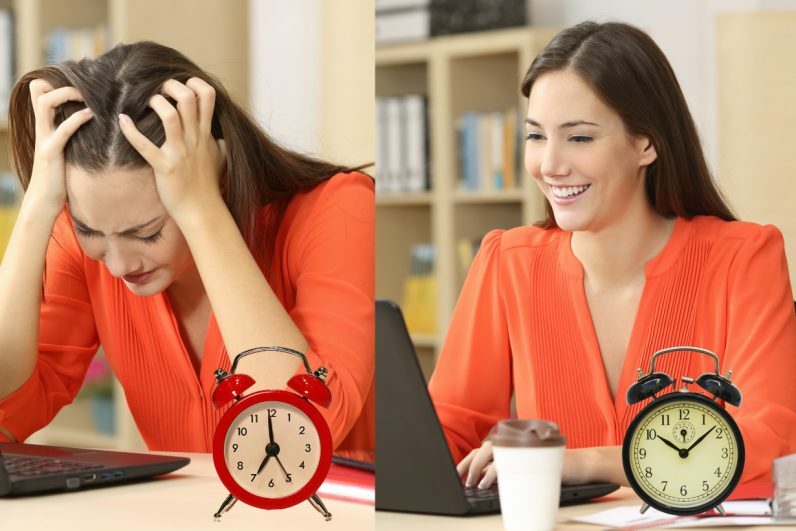 Research shows it can take up to 23 minutes to regain your focus, each time you switch gears. While limiting how many emails we get is probably the best solution, this isn’t always up to us. But what we can do is limit how often we check our inbox. Startup Adiós developed a free tool for Gmail (and other Google-based inboxes) that hides your incoming emails until set times. You decide at what time and how often they show up in your inbox, for example at 7 AM, 1 PM and 5 PM. Adiós suggests to pick three times a day, but you can pick anything from once a day to receiving emails once an hour. The filter does allow for exceptions. You can add recipients who’s messages need to show up immediately, and emails from non-registered addresses can be checked by using the “deliver emails now” button. This does make you wonder how effective the extension is for the real email addicts — some self-discipline is required to stick to the set times. Still, to those who get some peace of mind by looking at a (seemingly) empty inbox, Adiós might be worth a try.